A man wearing a blanket was walking in the street. so we can not see his face. by its way of walking and its legs. I wanted to call him, because I care very much. "You can walk well, are not you?" Then, there was a reply by a melancholy voice. 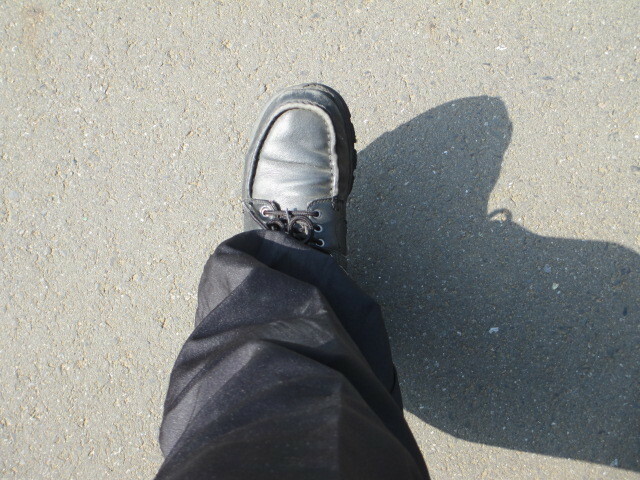 "I am steadily walking while watching the foot."